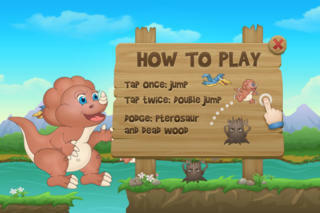 Baby Dino is an exciting game that will make you keep coming back. 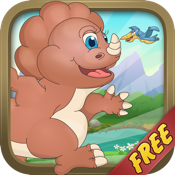 Take Baby Dino on an adventure run and help him cover a huge distance. Jump over obstacles and collect lives as you run, jump and dodge. There are different obstacles that makes your run even more interesting. So WATCH OUT! Baby Dino's life chances are limited so cover the maximum distance as quickly as possible and set a new record on the global gamecenter leaderboard. - Beautiful retina graphics! Looks AMAZING on iPhone 4S, iPhone 5, and iPad.